If your aim is to gain muscle and get stronger, you’ll need the best muscle-building exercises in your arsenal. 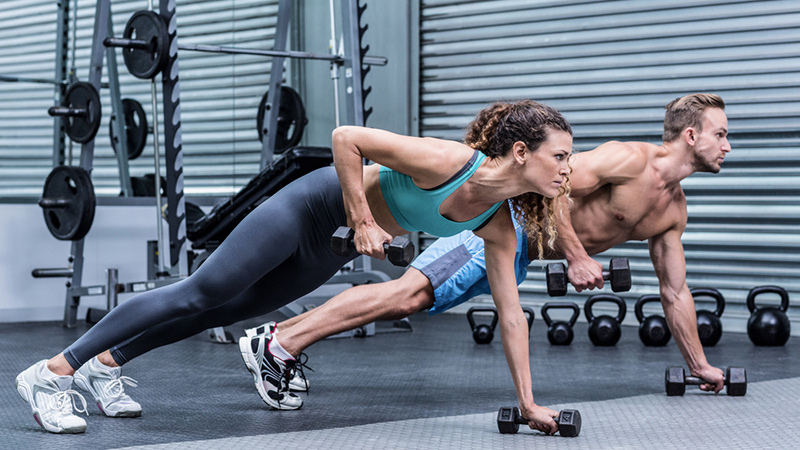 A general rule of thumb to follow when trying to build muscle mass is to reduce isolation exercises as much as possible, and focus on multi-joint moves that work larger muscle groups together. These muscle-building exercises will give the largest muscle gains in the shortest possible time. Here’s a quick rundown of the best muscle-building workouts for strength and size. A single-arm dumbbell row isn’t as popular in the gym as its two-arm counterpart but it’s just as effective, if not more so. It does a great job of building the latissimus dorsi muscles, the muscles of the mid-back, biceps and shoulders. Want strong forearms that would put Popeye the sailor to shame? Try the hand-over-hand rope row. Apart from giving you massive forearms that will make you want to rock short sleeves, they’ll also give you strong a super strong grip, obliques, quads, and a strong back. Few exercises will beat the hand-over-hand rope row for results. You will, however, have to find the right space and equipment to get this job done. To do this exercise, attach a thick rope that’s not less than 35 feet long to a weighted sled. Sit on your haunches and tighten your abs before pulling the weighted sled towards you one hand at a time. Apart from building muscle, this exercise has a myriad of benefits for your physique. The exercise works the muscles of the hamstrings, glutes, core and pelvic area. It not only builds strength, but also helps develop balance. Since the exercise is a bit advanced, it might be tough to keep your balance initially, but that will come with time. The farmer’s walk or farmer’s carry does a great job of strengthening the abdominal area, hamstrings, glutes, quads, traps, and forearms, and it’s extremely simple to execute. The easiest implements to use are a pair of heavy dumbbells (though you can choose heavy kettlebells or other weights as well). Standing between both dumbbells, lift them and carry them in each hand as you walk with short, quick steps for about a 100 feet. Don’t forget to breathe regularly. This one is a no-brainer if you want to build bigger glutes while keeping the rest of your body super toned. It also builds explosive strength. Even though kettlebell swings have only really recently been recognized for the fitness benefits they bring, they have been in use since the early 1900s. Apart from building a firm behind, kettle bell swings strengthen the lower back and lengthen the hamstrings for explosive power. If you’ve ever had the opportunity to watch any Olympic power-lifting event, you must have noticed are the tree-trunk-sized legs of the contestants. If you want legs that would make pillars seem like twigs, you need to do what power-lifters do every day: Olympic-style squats, a.k.a, squats with a heavy barbell. You’ll need a heavy barbell and a safety bar. If you’re new to this workout, for safety’s sake it would be advisable to use a spotter. We all know the bench press is any strong man’s staple especially when it comes to building strength and size in the pectoral muscle regions, but there’s a variation that brings even better results along with a reduced risk of shoulder injuries. 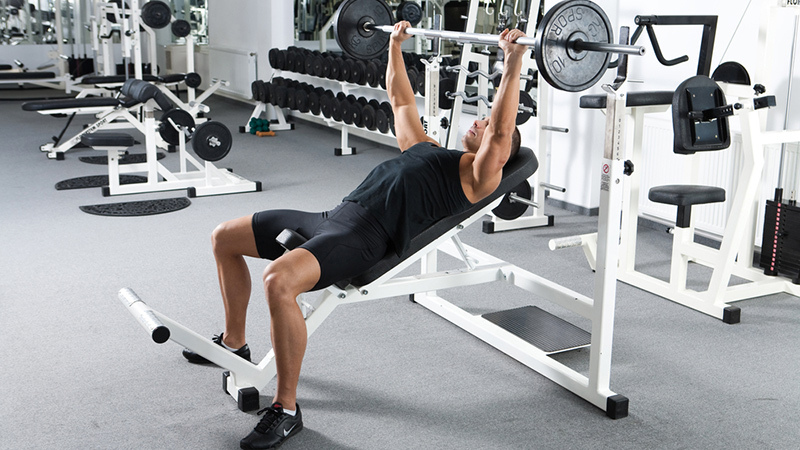 A flat bench press puts too much risk of a shoulder injury, so many now prefer to use a 30-degree incline for better isolating and targeting the pectoral region and delivering better results. Work your triceps, chest, lats and shoulders with this exercise. Lying across a flat bench as if in a T-shape with arms stretched out straight behind your head and feet planted on the ground, have a spotter hand you a heavy dumbbell. Hold the dumbbell above your head and slowly lower it in an arc motion behind your head until you feel the strain in your chest. Slowly bring the dumbbell back above your head for one rep. Be sure to grip the dumbbell tightly with both hands and ensure none of the plates are loose. Yes, they look simple but people who know them hate them. That’s because they hurt like crazy, yet they get the job done. 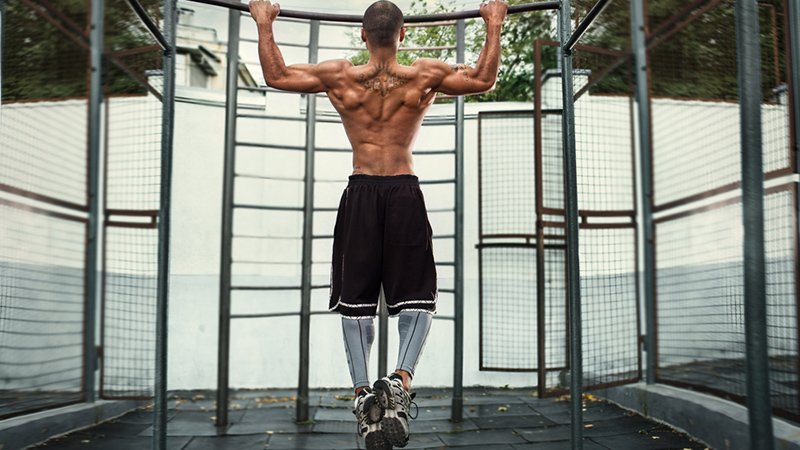 Not many exercises can sculpt your entire upper body like the pull-up. To add an extra dimension, wear a weighted vest or add plate weights to your belt. You’ll get an even more torturous experience. Dips might not strike you as the perfect exercise to round off your strength training routine, but they might just be the little boost that will explode your results beyond your expectations. Suspend your body from the parallel bars with only your arms, and proceed to cross your ankles behind you. To add emphasis to the muscles of your chest instead of your triceps, lean forward and dip away.